No matter what happens with The Batman, there will be no shortage of Dark Knight-centered films in the coming years, as Warner Bros. has just announced a new animated feature. According to ScreenRant, Kevin Conroy is returning to voice the Caped Crusader in Batman & Harley Quinn, with The Big Bang Theory’s Melissa Rauch providing the perky inflections of the psychiatrist-turned-madwoman. Bruce Timm, who co-created the Harley Quinn character with Paul Dini, is writing the film. There’s no word on a release date or the plot of the film, but a still from the movie was released in late March, which we’ve used as the header image for this article. 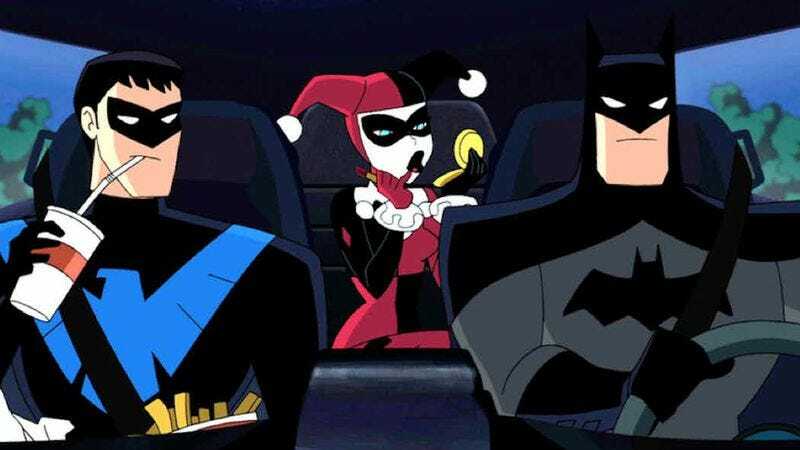 It looks like Batman and Harley Quinn will make a pit stop at a drive-thru with Nightwing, because you obviously can’t fight crime on an empty stomach. In the coming months, we’ll presumably get a teaser for the movie that expands on this carpooling scene.